Claire Seneviratne - Ceramic Artist: Square silver lustre pendant with markings and crackles. 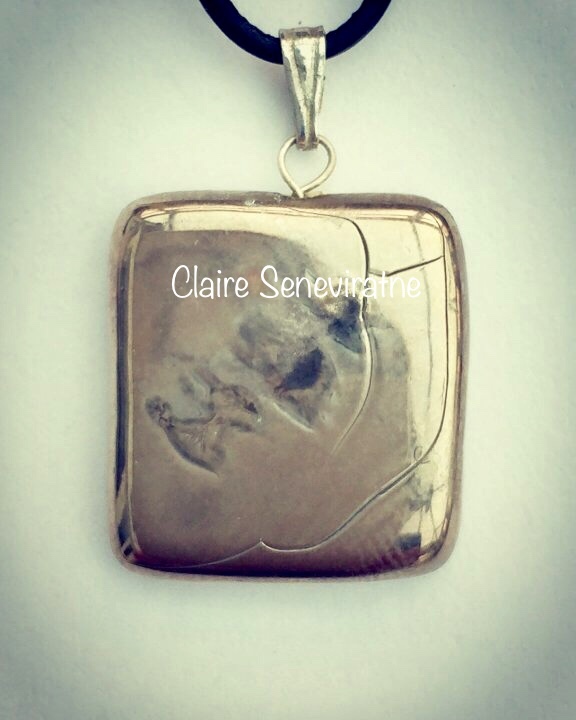 Square silver lustre pendant with markings and crackles. This is a square silver lustre pendant on an adjustable leather thong. It is made of porcelain and is lovely and light to wear.